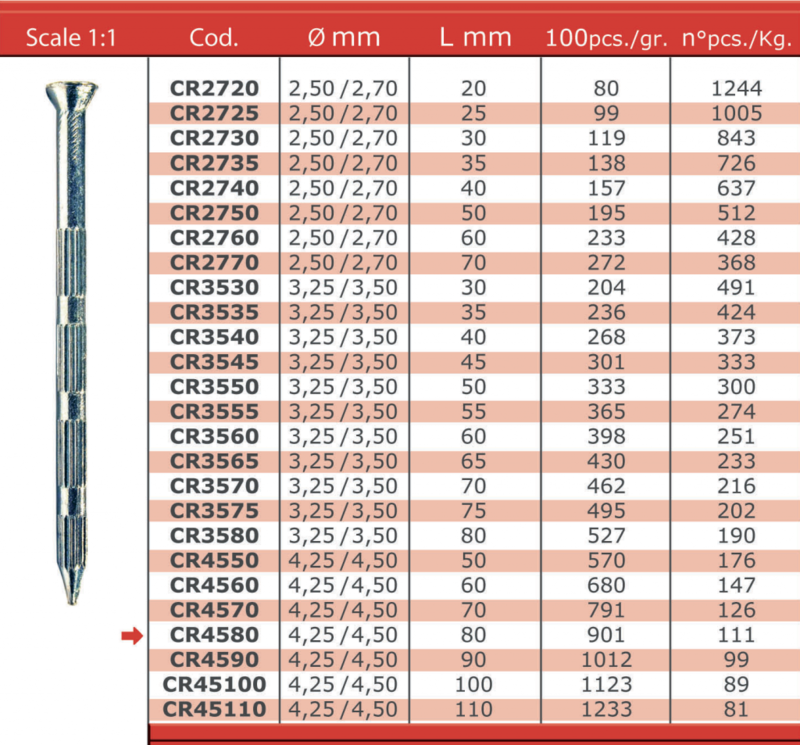 Hardened steel rolled nails countersunk head type “CR” are made of high carbon steel (C 72), hardened till 54 – 56 HRC. They can bend up to more than 90° for the maximun safety of end users. They are suited for fixing wooden boards directly on concrete masonry, brickworks or hard timber. The checkering on the shank provides significant pull-out resistance.